A unique partnership between UBC Okanagan, the British Columbia Institute of Technology and a private company, Pacific Rim Brands, has opened the door for the research and development of cannabis-infused beverages. Professor Susan Murch, who teaches chemistry at UBC Okanagan, and Paula Brown, director of BCIT’s Natural Health and Food Products Research Group and Canada Research Chair in Phytoanalytics have partnered with Pacific Rim Brands, a Kelowna-based integrated cannabis company to develop beverage formulas containing cannabis extracts. “We are at the early stages of this research and are very excited about the potential for both interesting science and new products for consumers,” says Murch. Susan Murch, professor of chemistry. Murch’s research investigates the chemistry of plants and how plant chemistry affects human health. She’s interested in cannabis ingredients and how they can be used in beverages. 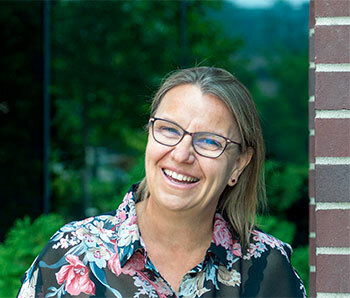 BCIT’s Paula Brown also investigates plant chemistry and works with the natural products industry to develop new products, establish standards of quality and ensure regulatory compliance. The partnership with Pacific Rim allows Murch and Brown to develop high-quality cannabis beverages for health, wellness and leisure, explains Kevin Letun, founder and chief strategy officer of Pacific Rim Brands. The collaboration between BCIT, UBC Okanagan and Pacific Rim Brands provides the opportunity to conduct more research about the chemicals in cannabis and at the same time conduct research on products that can be brought to markets across Canada and globally,” says Kim Dotto, Dean of Applied Research at BCIT. Phil Barker, vice-principal research at UBC’s Okanagan campus, says the university has a long history of innovation and commercializing new products. UBC was recently named one of the world’s most innovative universities on Reuters Top 100 list—one of only two Canadian universities to receive this distinction. With five campuses and more than 50,000 students, BCIT is one of BC’s largest post-secondary institutes. BCIT offers more than 300 programs—from certificates and diplomas, to bachelor's and master's degrees—in areas such as applied and natural sciences, business and media, computing, engineering, health sciences, and trades and apprenticeship. BCIT degree graduates have a 96 per cent employment rate. BCIT applied research creates innovative solutions to industry challenges and is critical to the growth and success of BC business. It is integral to the Institute’s unique education model – enhancing the student experience through hands-on learning opportunities that solve real-world problems.